You, a Slug Cat, must take on the role of survival in a huge world crawling with danger. Tasked with finding the family in which you have been separated from, you must search for food and shelter all while torrential downpours and predators are out to take your life. The indie team behind Rain World, are new to the Nintendo Switch scene with their debut game for the platform. Developed by the team at Videocult and published by Adult Swim Games, Rain World offers some unique platforming action for the system. Rain World is even Videocults first ever release on a Nintendo platform! The game kicks off with some images of you and your family, and then with no introduction, you are thrown into the world of Rain World. With no guidance at hand, you are soon tasked with trying to figure how to fend for yourself while also trying to relocate the family in which you have become separated from. This task will not come easy, as you risk potential predators or even a rainstorm taking your life. Will you be able to find the many hibernation points that’ll help save your life? The gameplay of Rain World consists of you freely exploring a large 2D World Via pipes and passages while overcoming different platforming obstacles. Your first task being to search for food. Food in Rain World is often the various bugs or fruit you may come across on your travels. Slug Cat is able to jump and use different debris as weapons to help damage and avoid many different enemies. But as you begin to search for food, a sudden storm pours in, what next? As said above, Slugcat is capable of using the various items found in the environment around him as weapons to defend himself against enemies. While exploring you must keep an eye out for hibernation chambers as these will save your life from the impending storm. Hibernation points will reset the time to day and will allow you to save your progress up until that point, You must find these chambers by days end in order to survive, if not you’ll drown by the torrential downpour. By hibernating at these points, you’ll earn karma which is needed to progress to future areas of the game. Karma is represented in the form of “points” at the bottom of your screen. If you ever get lost don’t fret! Although the game encourages free roam and doesn’t offer guidance on where to go next, you have easy access to a large-scale in-game map system that can be accessed for a full overview of the landscape. The game includes a multitude of different difficulty options so players can enjoy the world of Rain World however they would like. There’s even local-co op multiplayer in which you can explore the world together with a companion Slugcat. While the platforming gameplay can feel a bit repetitive at times, Rain World had me intrigued with its concept from the very beginning. Who knew a slug mixed with a cat could make for some interesting gameplay? With a large cast of unique enemies, Slugcat definitely has a tough adventure at hand to find his family! Many say Rain World truly shines in it’s visual/art style appearance and I couldn’t agree more. Having a pixel art approach in design and smooth colors at hand, Rain World was always visually appealing during the entirety of the game. On the sound side of things, although the game starts off semi-quiet the game’s background sounds start to build up to something more as you progress. Once the sound builds up, you can definitely begin to tell what kind of world Slugcat is in. Rain World on Nintendo Switch offers platforming action with a unique character. With a highly praised art style, & gradual soundtrack build up, I felt immersed in Slugcats world. 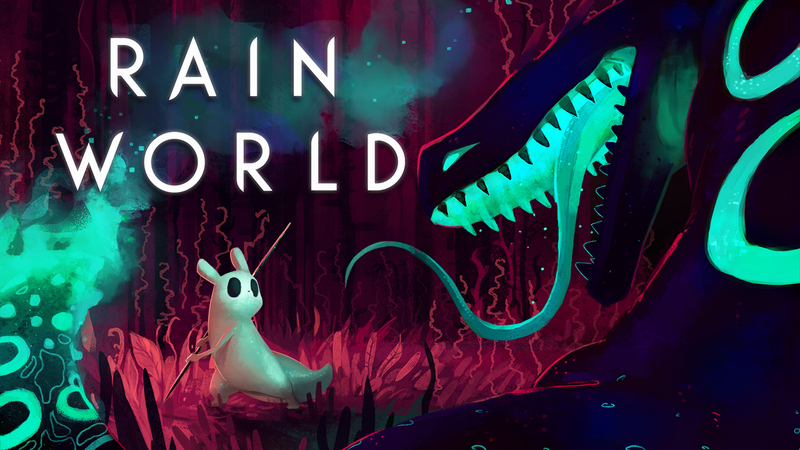 Run, jump, attack, and hibernating with Slugcat is the name of the game in Rain World! With an emphasis on survival, your free to do everything and anything in the end when it comes to exploration with little to no guidance. Do you have what it takes to survive and relocate your family? Only you can answer that question.